If you don’t know I purchased a new home in late October of 2018. I had all these grandiose plans of updates I wanted to make immediately. My pockets and plans didn’t match. I love flamingos. I don’t know why. I just love them. I ordered the flamingos from CaliMomDesigns on Etsy. 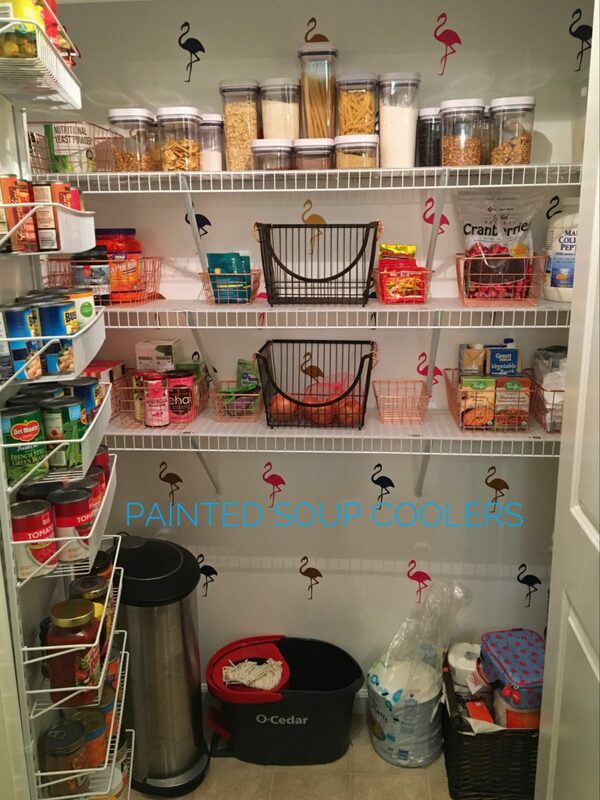 Each flamingo is 6″ tall and approximately 3″ wide. The decals are sold by the sheet. 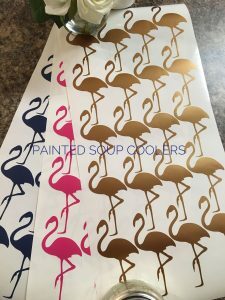 There are 20 flamingo decals per sheet. I purchased a copper, pink and dark blue sheets. 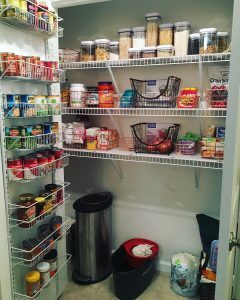 I removed everything from my pantry. I removed any marks on the walls with a Mr. Clean Eraser. It works great on flat paint. I didn’t know how to remove the wire shelving. 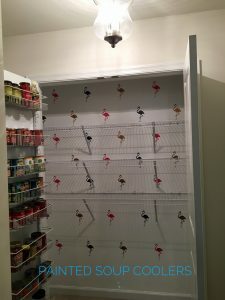 I wanted to keep it because the shelving because I wasn’t prepared to pay for a shelving new system. I had to paint around the wall attached pieces; a pain. 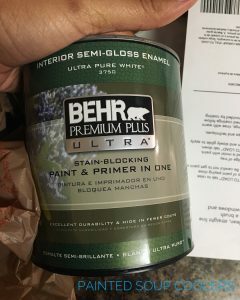 I painted my wall with Behr Premium Plus Ultra Interior Semi-Gloss Enamel Ultra Pure White 3750. I didn’t not like this paint. 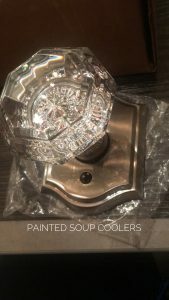 My walls were flat off white; however, it took several coats to cover. 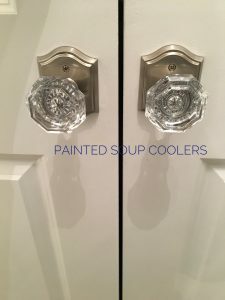 I let the paint dry 24 hours between coats. I marked my spacing with a level. 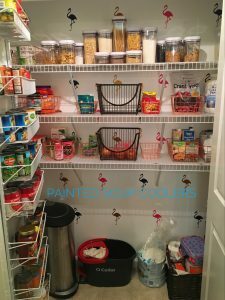 I placed the decals approximately 12″ apart horizontally and each row is about 4″ apart. Be good to yourself because no one else has the power to make you happy.